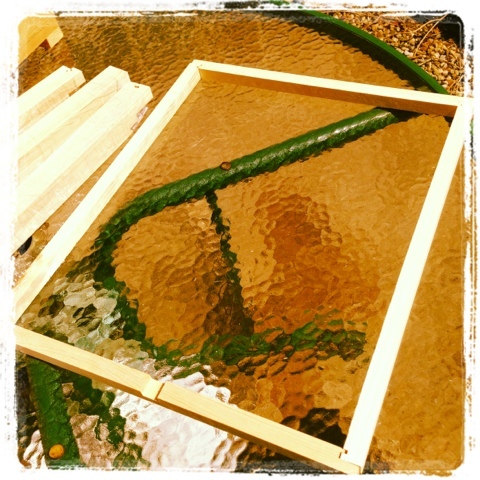 Abbott Honey: Putting on two new Honey Supers using Imirie Shims on the Hives. How I put the Shims together and why I decided to try them! 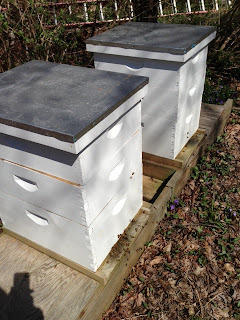 Putting on two new Honey Supers using Imirie Shims on the Hives. 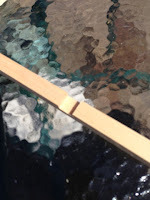 How I put the Shims together and why I decided to try them! 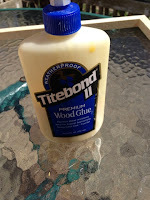 I bought some Imirie Shims to put on my hives recently. The Imirie Shim was invented by a Master Beekeeper named George Imirie. He attributed his bee keeping success to the use of these style top entrances between honey supers. Providing upper entrances for the worker bees to reach the supers honey storage location makes a lot of sense, they don't have to travel through the brood chamber and up through all the other supers. Additionally, these Shims have been used in winter as alternate entrances for the bees and for moisture escape with good success. My bees are building well in their 1st super above two brood chambers. Apparently, the way to produce maximum amounts of extracted honey is to put supers with this entrance between them on before honey flow starts. When you do this the smell of the beeswax, sugar water, and essential oils tells the bees their stores are empty and they need to start working. This smell creates a bee pheromone which the bees sense and react by making lots of honey. The top entrances also make it easier for the bees to reduce moisture much faster and build a larger crop. When the Shims came all in bundles, I glued , nailed, and then painted the Exterior of the Shims in my backyard before installation. This is my first attempt at using the Shims. 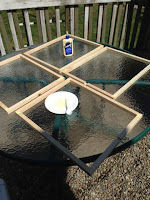 I decided to install on the Full Scorpio Moon and to Spray essential oils (I use Prohealth which I buy from www.Mannlakeltd.com ) and sugar water on the frames to help stimulate production on those frames. It was also a Lunar Eclipse and I felt this was an auspicious time to introduce the new entrances to the Bees. I figured with the combination of the new entrance and the Spray I concocted would be attractive to the bees. 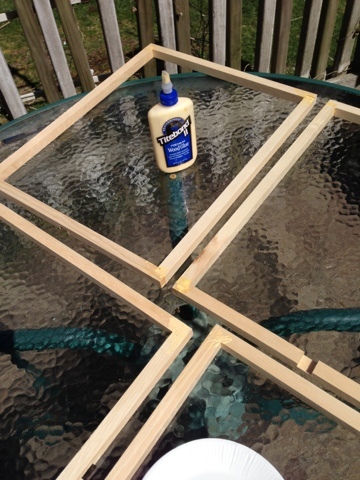 Last year I sprayed my frames in my supers with the same concoction with a lot of success. 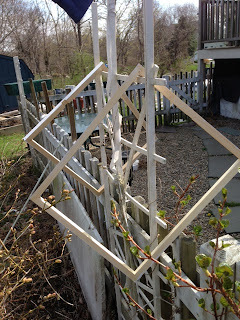 Since I use plastic frames, the bees need a little stimulation to get going on them but once they get going, they are fine. I shake it up all in a bottle. I use a leftover OJ container with a screw on top. It is good to use a funnel for everything and I bought some funnels in the dollar store which work great. I then use a clean dollar store spray bottle. I like to re-use things but I didn't want to use any kind of spray bottle that might have had a chemical cleaner in it so I bought a new spray bottle to use only for the bees. I also spray the containers down with this solution when I get a bee package in the mail and I have to wait overnight or a day or so to install the new package and queen in the hive. 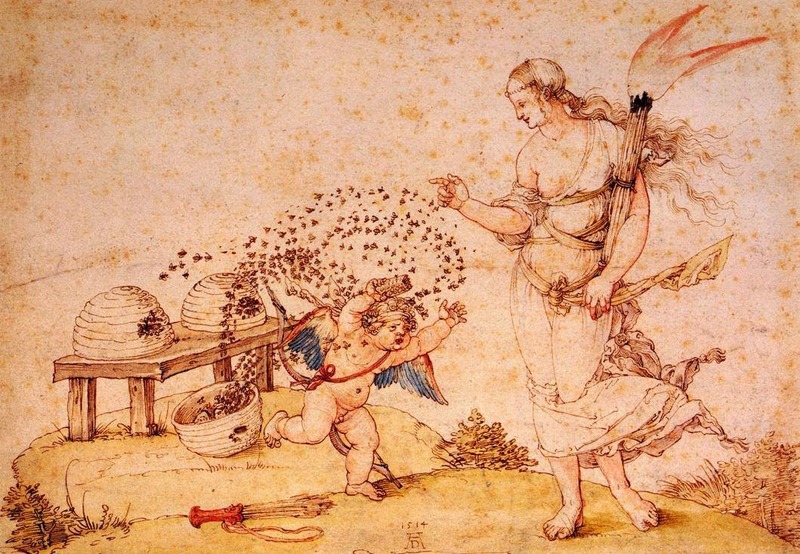 "Natural Beekeeping: Organic Approaches to Modern Apiculture" . I learned the most from watching Youtube videos too. I have learned that using essential oils in the hive is very protective and supports the bees in a hugely positive way. 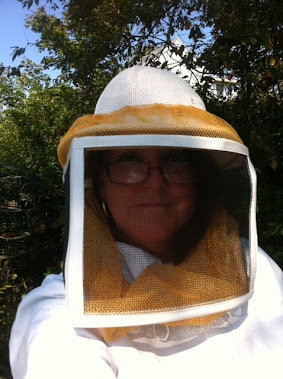 I am also open to learning new things from experienced Beekeepers but mostly it's been trial and error learning. In a way the bees teach you and you learn naturally from them. Thanks for posting this - I've just ordered some imari shims from Brushy Mountain! Announcing: Abbott Honey has an Extraordinary June Crop Honey for Sale! Visit Melissa Abbott's profile on Pinterest. "The secret of my health is applying honey inside and oil outside." - Democritus, contemporary of Hippocrates, who lived to the ripe age of 109. Saint Ambrose was supposed to have said: "The Fruit of bees is desired by all, and is equally sweet to kings and beggars and is not only pleasing but profitable and healthful; it sweetens their mouths, cures their wounds, and conveys remedies to inward ulcers". 2013 Melissa Abbott. Watermark theme. Theme images by bopshops. Powered by Blogger.